There's no such thing as bad weather - only the wrong clothes. 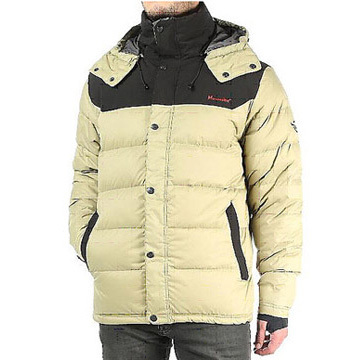 There is a bewildering range of winter coats and jackets, some look good, some work well too, we find the most functional that provide value for money. 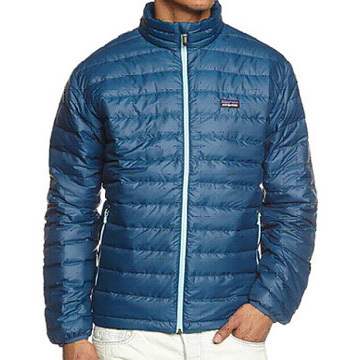 Your outer layer should be windproof and maybe waterproof too (but see below, very cold temperatures). 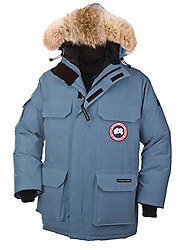 Antarctica is the windiest place on earth, don't skimp on this or imagine that you can get by with an outer garment that is "pretty windproof". Antarctica does proper wind. Proper biting - gets through every nook and cranny - straight to the bones - wind. Cold weather shell layer garments are wind-proof but are not always waterproof, this makes them softer and more pliable when it gets very cold, and may also help keep the cost down. 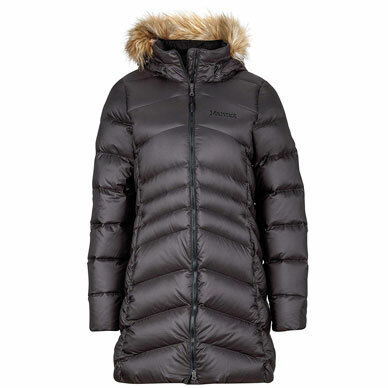 Water-resistant is fine if you will not use the garment in extended wet conditions. In very cold conditions there's no liquid water about! Down - 500 / 600 / 700 / 800 fill - what's that about? The "Fill Power" of down is a measure of its insulating properties and of its quality. The higher the number, the better - generally. Take one ounce of down, compress it and then release it - the down will expand and fill up a volume, in cubic inches this is the fill power. 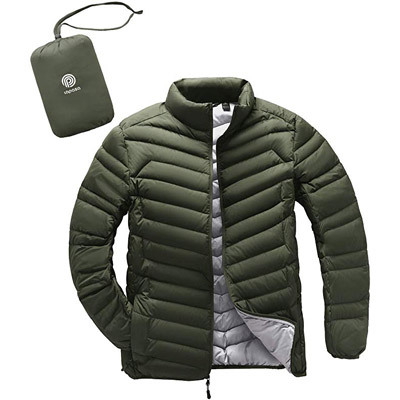 A high fill power means that the garment will be lighter weight for the same warmth and more compressible if you are going to pack it away in a back pack or similar. Down is still the gold standard insulation material for the most extreme conditions being used in the Far North and Far South alike during the winter months. As it is so light and compressible it is also used for lightweight jackets/sweaters that provide serious insulation for their bulk, espicially as they can stuffed into a suprisingly small bag when not used to be quickly brought out when needed. Synthetic insulation is better for conditions where cold and wet may be encountered as it is less affected by wet than down. It is a little heavier than down for an equivalent insulation level and doesn't compress so well, though is less expensive. 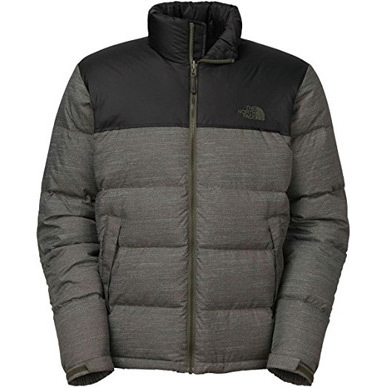 Garment details - high quality insulation and enough of it are key ingredients in the making of a jacket for extreme cold conditions, though the design of the garment is also very important too to make the most of the insulation, to ensure that cold spots don't arise and also to provide a level of versatility for changing conditions. Drawcords, close down or open up, cuffs and maybe vents help If it warms up or if the snow really starts to blow and gets into every nook and cranny that it can, and as we all know snow in the cranny is no laughing matter. Tapes or toggles on zip pullers mean they are easy to operate while wearing gloves or mittens. 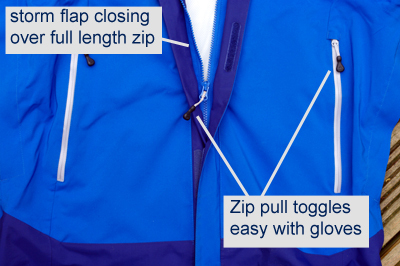 Storm flaps that fold and close over the main opening zip avoid a thinly insulated region where heat can escape and help keep wind, snow and rain out. 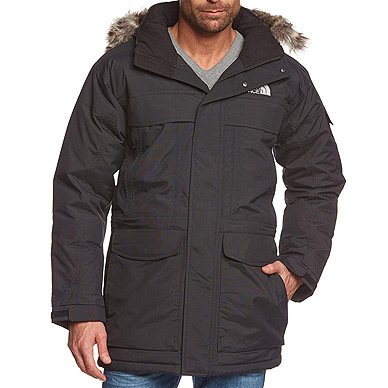 Cost - Quality insulation is not cheap, it makes little sense to use expensive materials in a garment that cuts corners in other ways, so good insulated jackets are usually made with other high quality materials too and with extra features that add to versatility, warmth and comfort resulting in a mid range to high end finished product. 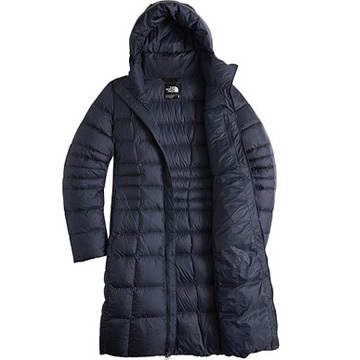 Bulk and weight - Stating the obvious perhaps, but a coat that is going to keep you warm at minus a lot and in a blizzard needs to be substantial to do so. Even if filled with the best and lightest insulation going it's not going to be as lightweight as a jacket for the fall despite what you might see claimed. There is no miracle super-light and thin, super-effective insulation material, it's all relative. 3 in 1 Jackets - An excellent compromise solution if you don't have really extreme cold to deal with. 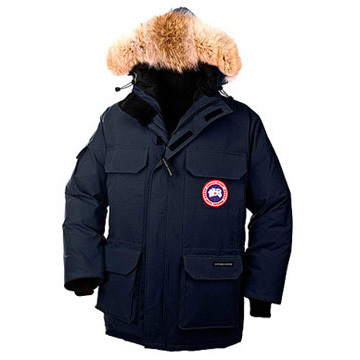 These consist of two garments, an outer shell layer that is wind and waterproof and an inner insulating layer that may be down, synthetic or fleece and usually at least wind resistant or windproof. In the warmer months either can be worn alone, then when the temperature falls, they can be combined, sometimes zipping together or connecting with press-studs so they can be put on and taken off again as a single jacket. As they are manufactured to do this, they fit together far better than they would if you bought 2 separate jackets to do the same job. 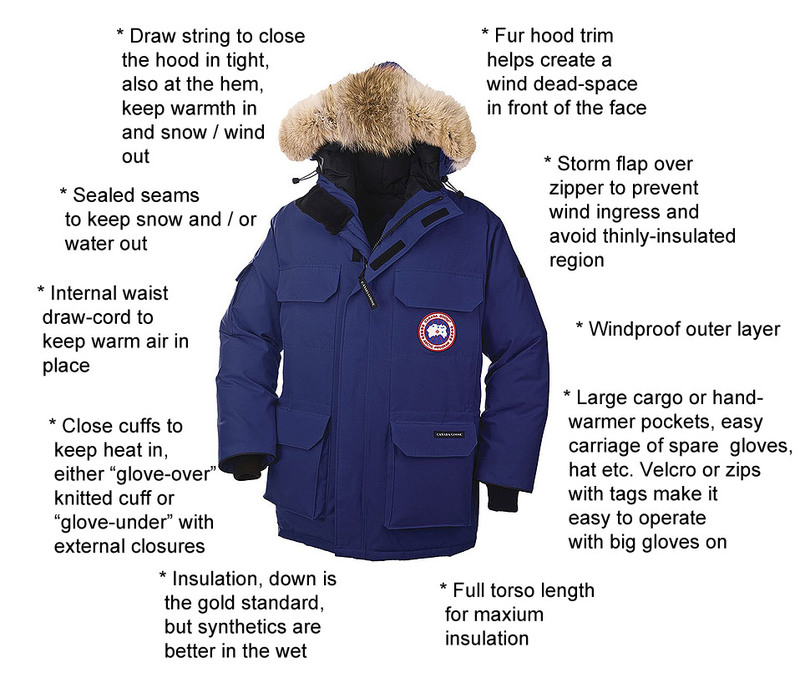 Having two layers in one also gives extra insulation by trapping air in between the layers and results in a coat that is often warmer than you might imagine it will be at first sight. More about 3 in 1 jackets. 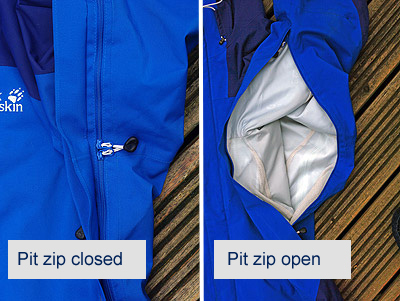 "Pit Zips" a detail found on some outer waterproof layers such as this which is part of a 3 in 1 jacket. 2 zip-pullers that start in the arm pit, one goes nearly to the elbow, the other down the side of the body. 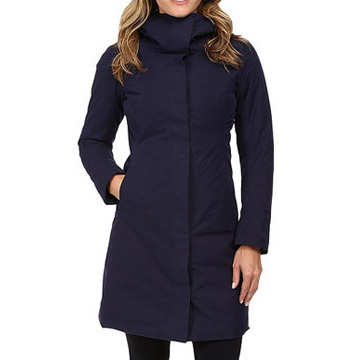 They can be opened even when it is raining to provide significant ventilation without taking the jacket off, almost as effective as unzipping the front of the coat without the wind getting in or flapping the front around. An excellent invention for flexibility of performance. What about wool? 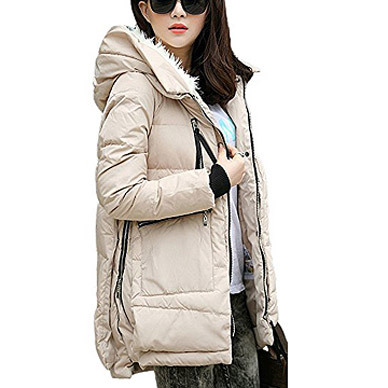 - Wool is a very popular material to make winter coats from and you can pay far more for a high-end wool coat than any you will find on this page. 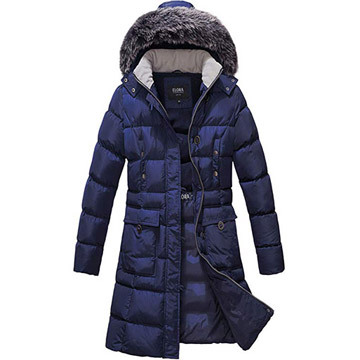 It is however an awful material for an effective winter coat for use in very cold conditions whether it's windy or not. Wool is fine for stylish "looking at" coats or one to wear between the parking lot and the brief journey into a heated building, but absolutely not as effective as a well designed modern insulated jacket. Wool coats are the clothing equivalent of an elegant car with 100 year old technology. On the other hand, wool is a very effective material as an insulation or base layer under a protective outer shell. 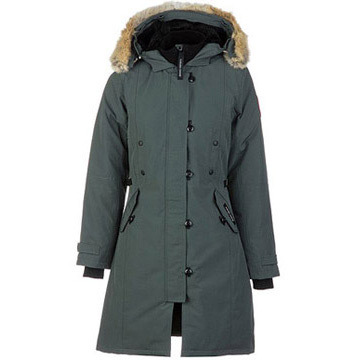 Military extreme cold weather clothing, military style or surplus clothing, effective if not pretty. 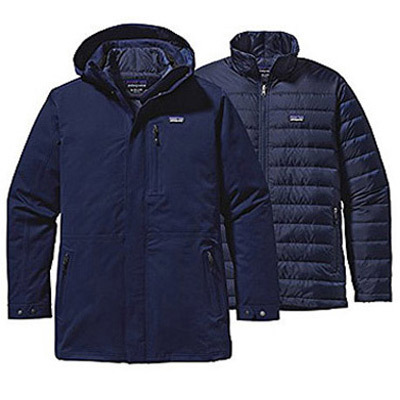 Note, these usually rely on layering for effectiveness and so outer garments in particular may be a relatively uninsulated shell intended to go over separate insulating layers underneath. 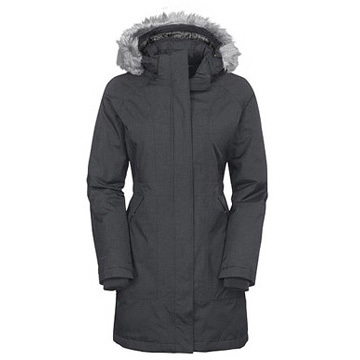 Waterproof breathable outer, removable hood, knee length avoids cold bench contact. 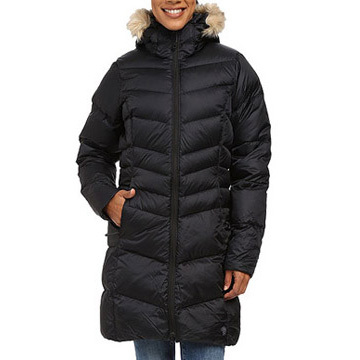 Lightweight, long and very warm, no fur round the hood. Waterproof Gore-Tex outer, light weight 750 fill down fill, fully featured. Adjustable vents, several colors, coyote fur. A very popular and stylish jacket, the warmest bomber jacket you'll find. Many colors. 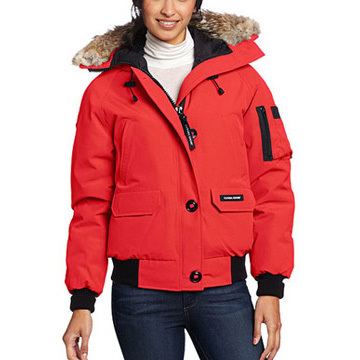 Retail version of the "Big Red" supplied to the United States Antarctic Program. A variety of colors (including red), the most serious protection. 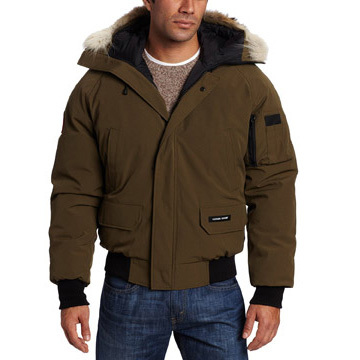 A very popular and stylish jacket, the warmest bomber jacket you'll find, in a variety of manly colors. Lightweight, compressible down sweater, an outer layer against the cold or under a shell layer. 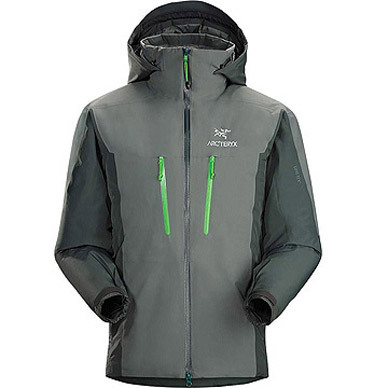 Waterproof breathable outer, synthetic insulation, fully featured for comfort and warmth. 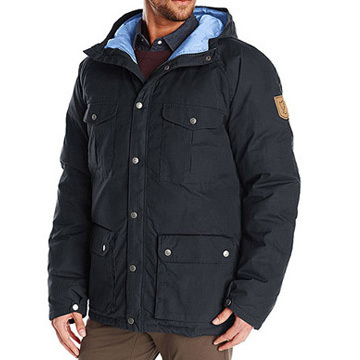 A classic jacket, hip length with storage and hand warmer pockets, durable fabric fights the weather on your behalf.